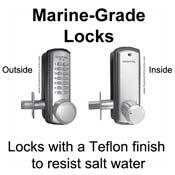 Marine-grade locks are designed to resist the corrosive effect of salt water or road salt, and blowing wind and sand. These locks have a patented Teflon finish which keeps them looking like they were just pulled out of the box, even after many years in place. 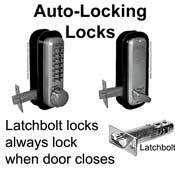 Below are the groups of marine-grade keyless locks we carry. 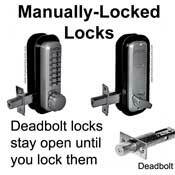 Click to choose the type of lock you want. Then you'll be able to view individual locks.